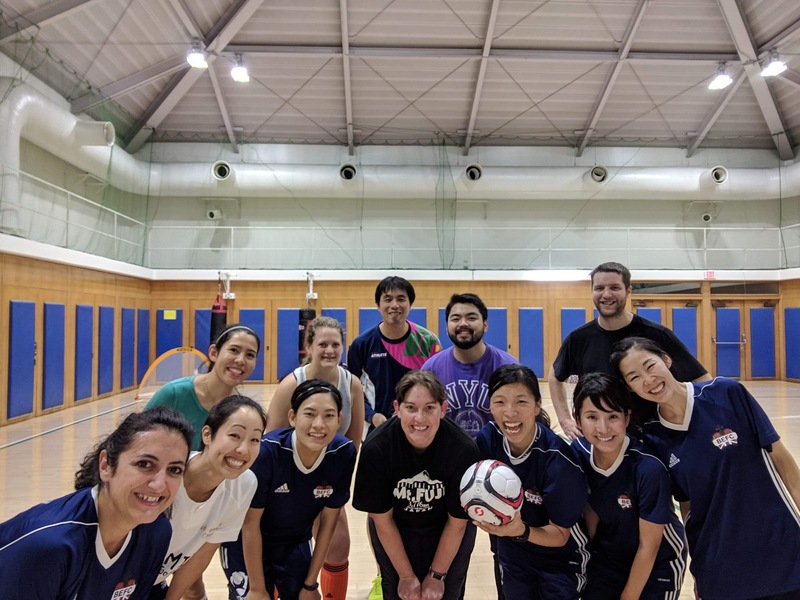 Regular Ladies Futsal at the US Embassy Housing Compound. Remember to bring photo ID, and if you are not pre-registered you will not be permitted onto the grounds. Please show your photo ID and tell the guard at the gate that you are there to play futsal. We will meet at the indoor gym at 19:30. The first 30-45minutes are warm up with passing and shooting drills. Followed by five minutes self-refereed games. Register on the website (full name as it appears on your ID) or via email. Preferably indoor futsal training shoes although gymshoes are fine. NOTE: Deadline to register is Wednesday 10pm. BEFC Futsal Members are guests and in order to use the facilities members must be invited by an embassy member. If you are not pre-registered you will not be permitted onto the grounds. After futsal we will go for some food and drinks.